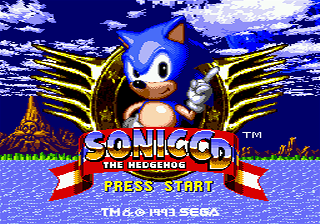 Contrary to the popular Mega Drive Sonic titles, Sonic CD was headed up by character designer Naoto Oshima, whose involvement in the franchise was halted after the release of the original Sonic the Hedgehog. It’s often speculated that a strong conflict of ideas of how a Sonic game should play between Oshima and series conceptualist Hirokazu Yasuhara led to a split between the two designers’ respective groups–Yasuhara, Yuji Naka and their team went to implement their own visions in Sonic 2, while Oshima constructed his new team to bring his own Sonic vision to life. Various elements–the presence of time travel in early builds of Sonic 2, the stylistic differences between Sonic 2 and Sonic CD compared to Sonic 1, and even the consistency of certain data between the two games–support the plausibility of this theory. Oshima’s wildly deviant and creative ideas really stood out from standard Sonic lore; while Yasuhara preferred more linear level designs that focused on a strict beginning-to-end formula with plenty of ways to reach that goal, Oshima created massive environments dedicated to exploration of the levels. 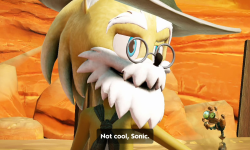 The new, innovative time travel concept concreted the incentive to explore as the presence of hidden level elements, differences in layout based on the current timezone and the ability to destroy Eggman’s badnik generators–affecting the course of the game’s future and changing its environment–encouraged the player to go above and beyond to truly experience the game to its full potential. This element added an unbelievable amount of replay value to the game seldom seen in other Sonic titles. With the addition of the time attack–a feature omitted from most Sonic titles; rather ironic, given its often emphasized focus on speed–and several unlockable extras based on favorable results, Sonic CD kept the player coming back for obscene amounts of time, always offering new experiences and ways to play the game and always rewarding the player for their exploits. Sonic CD excelled not just from a gameplay perspective, though–given the time of its release, it was also technically stunning. The inclusion of high quality CD audio, full motion video and an impressive three-dimensional special stage format pleased both eyes and ears as they went above and beyond the call of duty to deliver the player a brand new perspective on how Sonic games were presented. The traditional use of smooth jazz and 80s-era pop was abandoned in favor of Naofumi Hataya’s powerfully catchy 90s house grooves, which proved to be just as fitting–if not moreso–of Sonic‘s prominent attitude and fast-paced platforming action. 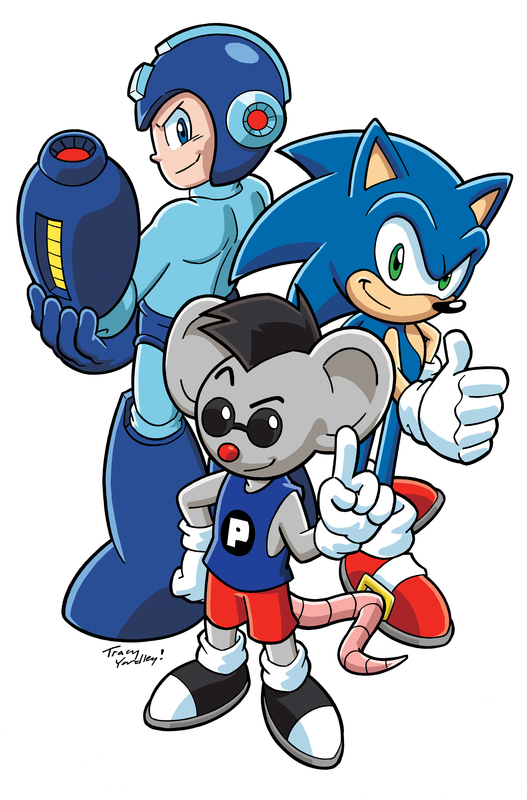 A new practice for the series–vocal theme songs–were also introduced in the title; they would not be seen again until the release of Sonic R, though their inclusion is much more akin to Sonic Adventure‘s use of vocals in music. Despite being wildly different from any other Sonic title before it–and, indeed, any Sonic title after it–Sonic CD continues to leave its mark on both the franchise and fanbase as a whole. It set the stage for elements which would not become prominent in the series until nearly ten years later and left a tremendous impact on the people who played it, both positive and negative. It remains to this day the most brilliantly designed and well put together Sonic title of all time in the eyes of many, despite the massive number of alternatives (and, indeed, alternative styles of play) available. For that, CD absolutely deserves praise, credit and recognition. Indeed, Sonic CD was one of my favorite Sonic games. And it was the first Sonic game I ever owned. This game was and still is the freakin bomb. Wait, wasn’t Yasuhara the level designer for CD? I could have sworn that just as Oshima, he advocated exploration and wide open levels…. Am I wrong here? Yasuhara had nothing to do with Sonic CD. When I say linear, it’s important to realize I don’t mean linear in the sense that it’s literally a straight line; I say it purely from a comparative perspective–Yasuhara’s layouts, while still multi-tiered and containing plenty to traverse, had a primary goal of reaching the end with more or less no strings attached. Sonic CD was not so straightforward in design, encouraging the player to go out of their way to explore every single bit of the level. Think about how simple Emerald Hill is compared to, say, Palmtree Panic or Stardust Speedway and it’s easier to see the difference. But nonetheless, CD is still that one game that always fights Sonic 3 & Knuckles for my best Sonic game vote. It is outstanding. Fantastic level design, great gameplay, amazing soundtrack here in the US and Europe, and the opposite of run of the mill boss battles that happened to be extremely innovative. It is my favorite, followed quite closely by S3&K. Sonic CD such an epic game with it beautiful soundtrack and animation as well as the fun game play which if I had the chance to play Sonic CD again I play it. I honestly wish they did more games with the animation and music influences of Sonic CD but that just me. Anyway Happy B-Day Sonic CD, Happy B-Day Amy Rose and Metal Sonic! The only thing I just didn´t like about this game is how many awesome parts are too hidden into some of the timelines. I´ve always feel people would love Sonic CD more if all of those could be seen a little easier than just replaying every level with every timeline. In fact, and awesome addition to Sonic CD would be an implemented level select (better than the debug one) where you could play all the game in Past, Future and Good Future timelines. After finishing Sonic CD thousands of times, I was yet amazed about how many great parts of level design I hadn´t played yet. I realy think that this should be released on vertual console. I havnt played it for years and now would be the perfect time! Apart from the stage design being a bit odd and awkward, and the contempt I have for the off pitch jumping sound, it’s a fine game and should get a re release on Steam or another download service. If more Sonic games had the Super Peel out I would be a happy man. Sega really ought to use the Retro Engine to remake Sonic CD for XBLA and PSN with both soundtracks selectable. It would should that they are willing to make an effort to please everyone and reach out to the long-jaded fans. Happy birthday to the best Sonic game ever made! Maybe someday a proper sequel will be seen. Ah, Happy Birthday Sonic CD! Indeed one of my favorite games in the series of all time (aside from S3&K), if not for the music alone. And one of the few classic games I can beat all the way through without the use of cheat codes (again, aside from S3&K). One of my favorite things in Sonic CD were the creative boss battles. Man, it took me forever to find the weakness of the Quartz Quadrant boss.